Get ready for a 30th birthday or anniversary by decorating with the Assorted Mini Glittered Foil "30" Cutouts. 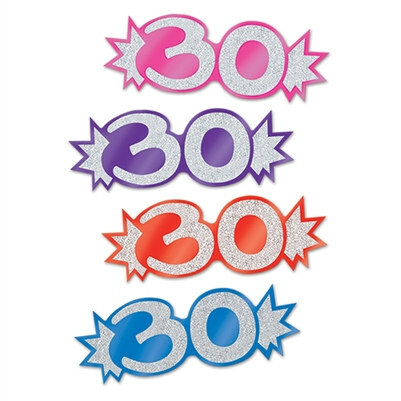 The Mini Glittered Foil "30" Cutouts come in a package of eight cutouts in assorted colors, sorry specific colors cannot be specified. The cutouts measure 5 1/2 inches wide and 2 inches tall.